Salvage Value of Car Calculator - What is The Salvage Value of My Car? Calculate the Salvage Value of Your Car! We calculate the value of your salvage car instantly at fair market rates, and give you a guaranteed offer in less than 90 seconds! Enter your zip code below to get started. Get Paid for Your Salvage Car NOW! The definition of salvage value is the resale value of an item at the end of its useful life. The salvage value of a car is calculated by determining the average life of your vehicle, then factoring in depreciation of that car. Let's say your car has a 5-year life and is bought at $20,000. Using straight-line depreciation, if your car's value depreciates at $3,000 a year, then at the end of its useful life it will be worth $5,000 ($20,000 minus $15,000 from depreciation expense). That's the salvage value of your car. Value of a Junk Car - What is the Salvage Value of My Car? 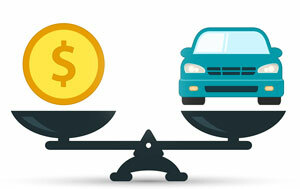 However, in reality, multiple factors impact the price of your car. For example, totaled car value will differ from a scrap value of a vehicle. Scrap value depends on the scrap metal prices which in recent years went sharply down. The good news is that the salvage value of your car may be much higher than local scrap vehicle prices, or what an insurance adjuster values your totaled car at. You can find out how much your car is worth now, or read on for more about salvage value. Your car can lose up to 30% of its value if it's repaired after an accident, no matter how good the repair is. Save yourself the time and hassle of fixing your car and sell it as-is to DamagedCars.com. Towing is free from your home or office, and you get paid on the spot. We'll give you a guaranteed offer for your wrecked car, now. What's The Car Value of A Totaled Car? After your car is damaged from an accident, it’ll be worth less than it was before the collision. But, it still has some value, which is known as its salvage value. The salvage value definition is the value of a damaged car that isn’t going to be repaired because it’s a total loss (the cost of repairs outweigh resale worth of the car) or can’t be sufficiently repaired. A car in this situation is often referred to as a salvage car or salvage vehicle. Salvage titles are issued once an insurance company deems a vehicle a total loss, but determinant factors differ per state. Usually, the best price for a salvage title car you can get is 50 percent of the Kelly Blue Book value, or even 30 percent of a typical used vehicle's value in the same make, model, and year range. Depending on the factors involved, how much a salvage title reduces a car's worth can be even more than that. Many dealers won't buy vehicles with salvage titles because of the unknown complications that may arise after purchasing. What's The Value of A Car Totaled in Accident? When your car is declared to be a total loss or totaled by your insurance company, there are a couple of scenarios that can play out. First, the insurance company can pay out a settlement check for the actual cash value (or ACV) of the car pre-accident less any deductible. In that case, the insurance company takes ownership of your car. Essentially, you’re selling your totaled car to the insurance company for whatever amount they feel it’s worth. They can reach this salvage value calculation by using their software or using the Kelly Blue Book estimates or other external sources. How can I CALCULATE THE VALUE OF MY SALVAGE CAR? 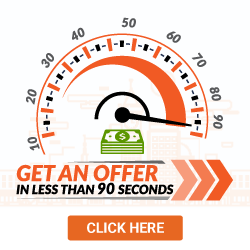 It's simple, and it takes less than 90 seconds... click the button below to get started and find out how much your salvage vehicle is worth! The second possibility is that you opt to keep your salvage car and sell it to DamagedCars.com. The act of keeping your car after an insurance company declares it as “totaled” is called owner retention or salvage retention. What is The Salvage Title Value of My Car? What are the standard salvage prices for cars? 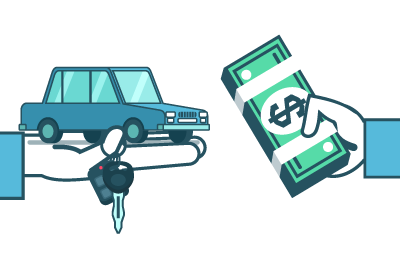 In cases of owner retention or salvage retention, the amount of the check that the insurance company will give you would likely be different from the amount they give you if they keep the vehicle. This is because when the auto insurance company keeps the vehicle, they pay you an amount comparable to car values of pre-accident automobiles, whereas when you keep the car, they pay you a salvage value or the value of the car with the accident damage taken into account. If you have a totaled vehicle, you might be wondering why it would make sense to keep it when it has such extensive damage. The answer is that you can sell it to a company that specializes in buying cars for cash that have been deemed by insurance companies as being totaled. In fact, we also work directly with insurance companies to unload some of their salvage title cars. How Much is A Totaled Car Worth? Don't settle for car scrap prices. You sell it "as is" and don't have to deal with the hassle and significant expense of trying to get the car repaired or driving a damaged car that is probably unsafe. Plus, while you have a check from the insurance company for the salvage value, you can also get a check from DamagedCars.com by selling the car to us. DamagedCars.com is a fast, easy and secure way to Sell Your Car online. Usually it's better than a trade in for a damaged car. Sell your wrecked car with body damage or mechanical issues to us. No problem! 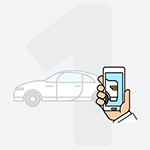 Get a guaranteed offer and see how much your car is worth. How much is your car worth in scrap? If you do opt to keep your salvage title car, the insurance company will use a depreciation method to calculate the residual value of your car and reduce any settlement payout by that amount. You’re essentially buying your salvage car from the insurance company. Is there a clear salvage value formula? Well… no. There’s no easy, clear-cut formula for calculating a car’s salvage value, as there are quite a few variables at play. Pre-accident condition of your car, the extent of damage, year, make, model, mileage, demand for parts from your car and your location will all have an impact on how much money you can get for your car. How Can I Sell My Wrecked Car? You'll have a lot to consider before you scrap your car since your car's scrap value will be based on either scrap metal prices per metric ton or other scrap car prices in the area similar to yours. The price for salvage cars differs largely based on location, make & model. A 2003 Toyota Corolla's salvage value could be as low as $200 while a Ford F150's scrap value might be higher due to the heavier weight thus more scrap metal value. They use different scrap metal materials and will be more or less desirable in different states that are in need of those materials. So the cash for trucks values fluctuate as a separate market. If you're asking 'how much do salvage yards pay for cars?' then you can expect a payment of between $100 and $200, or lower since they want to create a buffer for profit. As you can see, scrapping your car usually isn't the best choice when trying to get the best price for your vehicle. Typically, the auto salvage value calculator is a person's eyes and guesses. But you still want to sell your damaged car for the real price your vehicle, fast. And a car with a salvage title's value is subject to the few willing to buy it, and what they will pay. So, how to determine the value of a totaled car? Luckily, through decades of damaged car buying experience, DamagedCars.com can calculate the value of your wrecked car in 90 seconds and give you a guaranteed offer. We buy salvage cars every day so we can accurately give top salvage car prices. When selling a car with a salvage title a car junkyard near you are your typical salvage title car buyers. So you may be asking yourself “where can I find an auto salvage yard near me so I can sell my car”? But the prices they pay for a salvage car are usually scrap car prices, and may be much less than what your car is worth. No need to find scrap yards around you. Rather than settling for the average salvage value of a car, we can help get you a better offer. At DamagedCars.com, we specialize in buying damaged vehicles and vehicles in less-than-perfect condition. We’ll give you a quote on what your specific salvage vehicle is worth, so you get the most value for your vehicle. With our scrap car price calculator, our offers are guaranteed. There are no fees if you choose to sell your car to DamagedCars.com. You'll never have to ask again "how much is a salvage car worth?" With DamagedCars.com you can keep your insurance check and sell your wrecked car for its full salvage value. Are you concerned about making expensive repairs? No need. You can sell your car and put both checks toward a new one. Can you profit by keeping your total loss car and selling it? Yep. The best solution is to sell your salvage car to DamagedCars.com, and we can help you do precisely that. 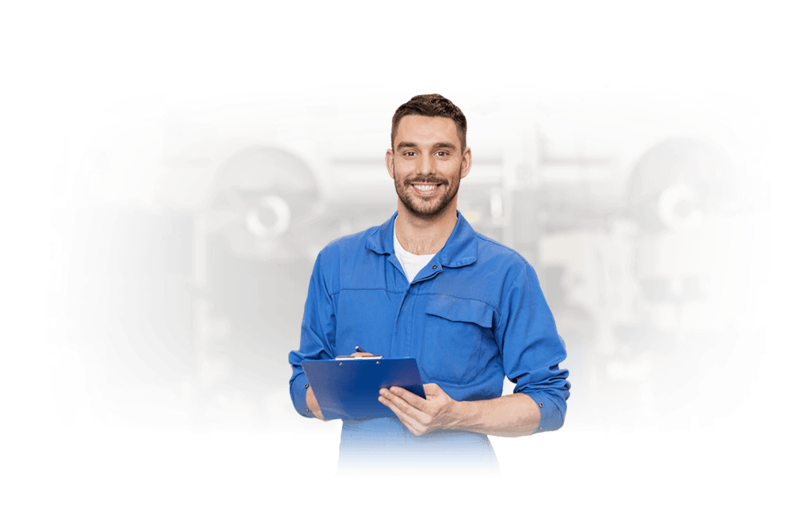 Regardless of whether you have a broken catalytic converter or a blown engine, we will buy your car. If your car has been determined to be a total loss, then your car will be sold as salvage. In most states, you can retain salvage as the owner of the car. The insurance company will deduct the salvage value from your total loss settlement amount (the actual cash value). You can then sell the car as salvage on your own. There are some clear benefits to selling your broken-down, wrecked or salvage car to DamagedCars.com. A repaired car can lose up to 30-percent of its never-damaged value. Why sell your car to us and not a private party? If you're wondering "What is my junk car worth? ", well, we have decades of experience evaluating prices of junk cars. Some people imagine getting $500 for junk cars, and in some cases it's possible, or you could even get more. We have a sophisticated junk car value calculator that gives you a guaranteed offer in less than 90 seconds. You'll never have to ask 'who buys cars that don't run' again. Our junk car estimates are extremely accurate, and that's why we guarantee our offers. Find out the value of your junk car, salvage car, or totaled car right now. We work hard to give you the best and most current scrap vehicle prices. We Buy Damaged Cars for Cash - Sell Your Salvage Car to Us! 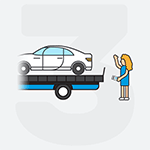 With convenient locations throughout the continental US, and our professional approach, we are able to make you an offer, take care of car removal and pay you within days of your decision to sell your car, so stop worrying about whether to repair your car. We are top salvage car buyers in the USA. Get your full vehicle salvage value and more by contacting DamagedCars.com today. To get a free quote just enter the basic information in our vehicle submission form.